It's been exactly a year this month since I first subscribed to ScoobyBox for Aragón. Exactly 1 year on and I'm still subscribed because Aragón absolutely loves his monthly box! Seriously I've never been subscribed to a subscription this long before and I don't see myself stopping it anytime soon because I still love the idea as much as I did when I received our first box. 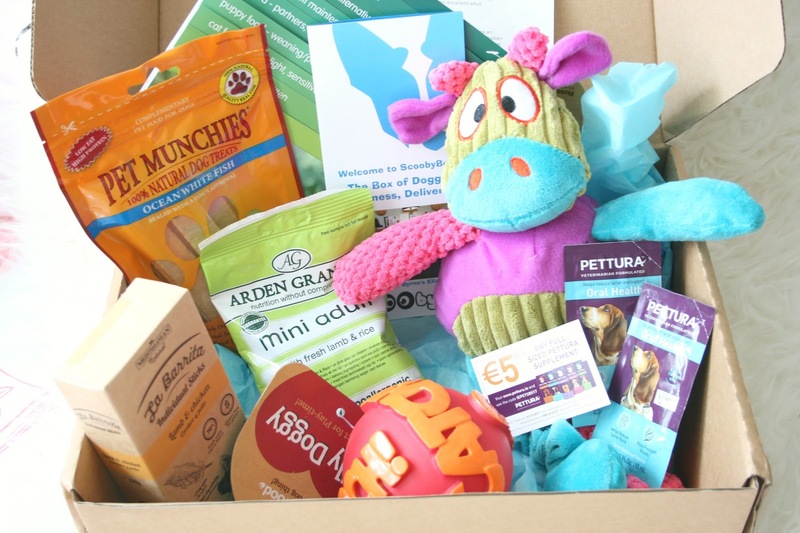 ScoobyBox is a company that sends your pooch toys and treats every month. They have numerous plans such as a 6 month, 12 month or even a 1 month subscription. I've gotten the box for exactly 12 months and in those 12 there's been absolutely nothing Aragón hasn't loved except for one time when they sent duck flavoured treats, he doesn't like duck. But that aside.. and trust me when I say he's a very fussy dog! Although once there's a teddy in the box it's always a win win. 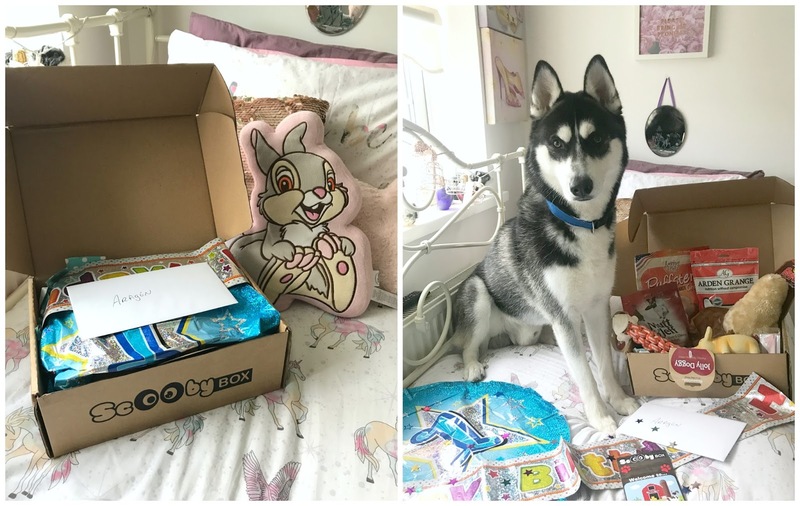 Recently Aragón turned one and ScoobyBox upgraded our normal monthly box to the Birthday Box (note you can buy this as a once off thing). I'm not entirely sure who was more excited about it when it arrived, Aragón or myself. They had filled the box with confetti, birthday banners and balloons and they even bought him a card! There was also so much in the box that Aragón couldn't sit still. This is a company that truly cares about what they put in their boxes, and they absolutely love seeing the dogs reaction to them. I don't see myself un-subscribing anytime soon because it really is priceless when Aragón sees that brown box being handed to us by the postman and he just goes crazy knowing it's his ScoobyBox. 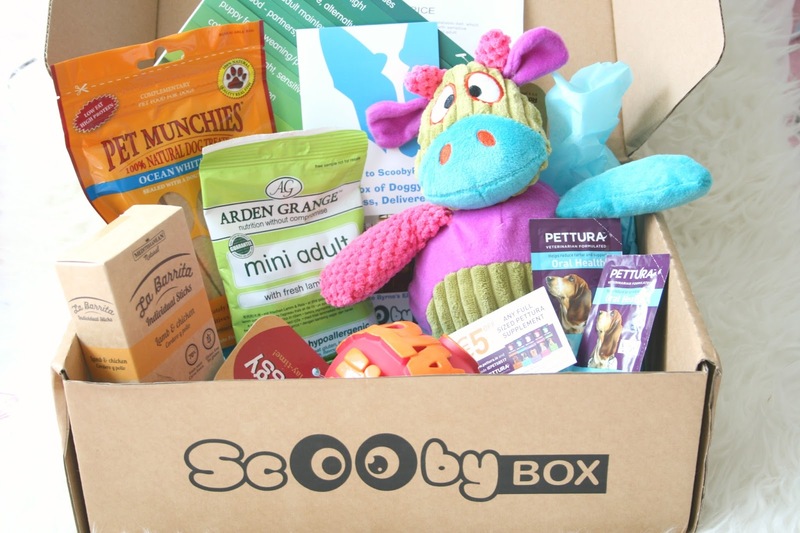 If you're looking for something fun to treat your dog too either for his birthday or just simply because you love them and want to treat them I cannot recommend ScoobyBox enough! They ship to Ireland and England and the shipping is at no extra cost! The boxes photographed in this post are the June box and the Birthday Box. You can find out more about ScoobyBox on their website here. 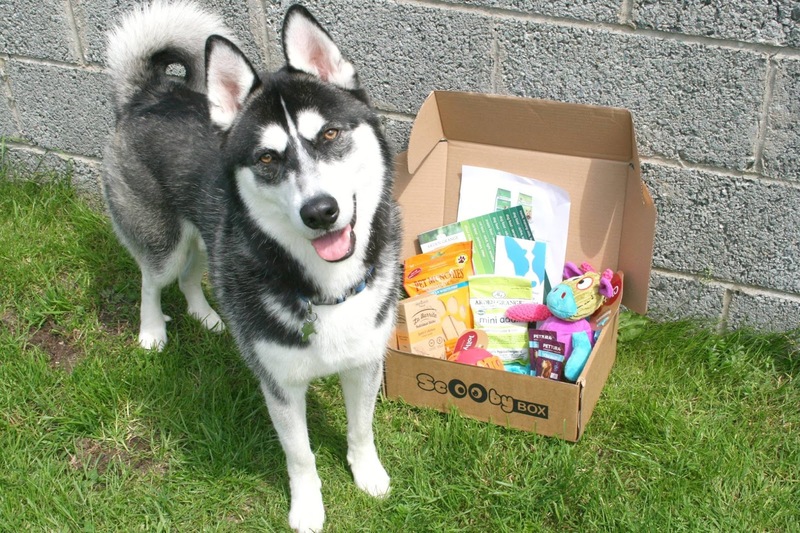 Have you ever tried a dog subscription box for your pooch?